As some of you know, immediately after I started Siren School I became too unwell to attend my own events. I moved up north and back east for a time, ultimately coming home to (supposedly) live out my last few weeks. When I did not expire as I'd been advised I would, I had to start over. I no longer had a car, phone, cash, possessions, anything. 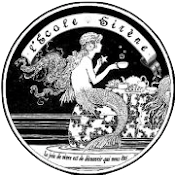 It's been a long bumpy road, and I thought Siren School was for sure a goner, having long since been cast aside. But through an unexpected series of exciting events last weekend, Siren School was pulled from the ashes. This will be the first overnight sireny event I've been able to attend. The tide has turned. I feel it in my bones. And I'm more grateful than I can say. 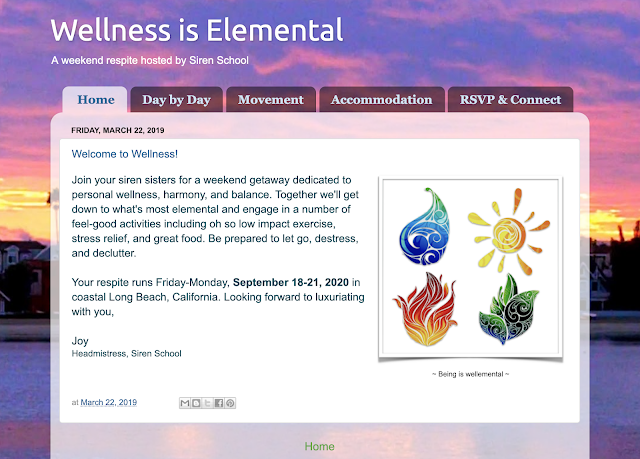 Click here to learn about Siren School's elements-based weekend wellness getaway in Long Beach, CA.